Anything more fun than a polka dot dress on a summer day? Sometimes it's fun to put on a fun summer dress and head to brunch. While I admit I don't usually look like this in the morning for any brunch, I will admit to putting on my best for friends! 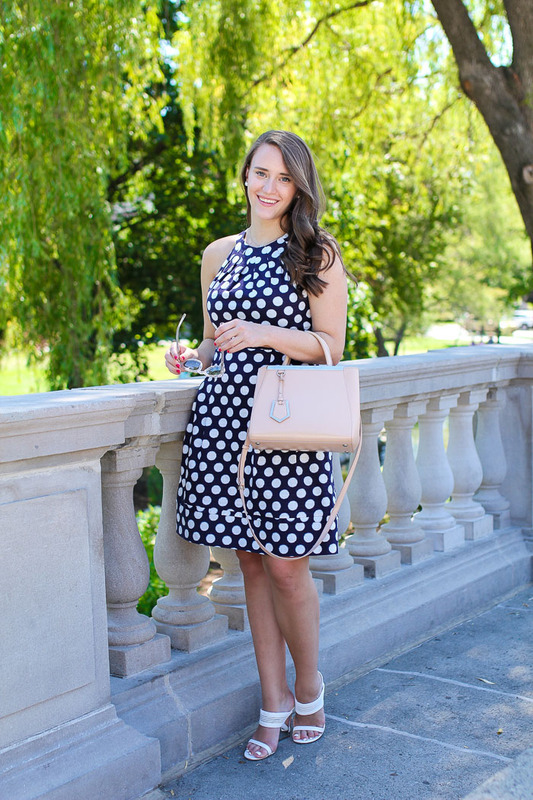 This polka dot dress is perfect for summer and I just love the way it fits. Anything that comes in at the waist is good in my book, amirite?! There is something about polka dots that are so fun and perfect for a stroll around town. I'm really loving white shoes lately, is that weird? These are my like 5th pair this summer. You'd be surprised at how much they go with everything! this is such a cute dress - it's so flattering on you! Such a classic summer piece! Nothing is more perfect than polka dots on a Sunday! Such a lovely look!